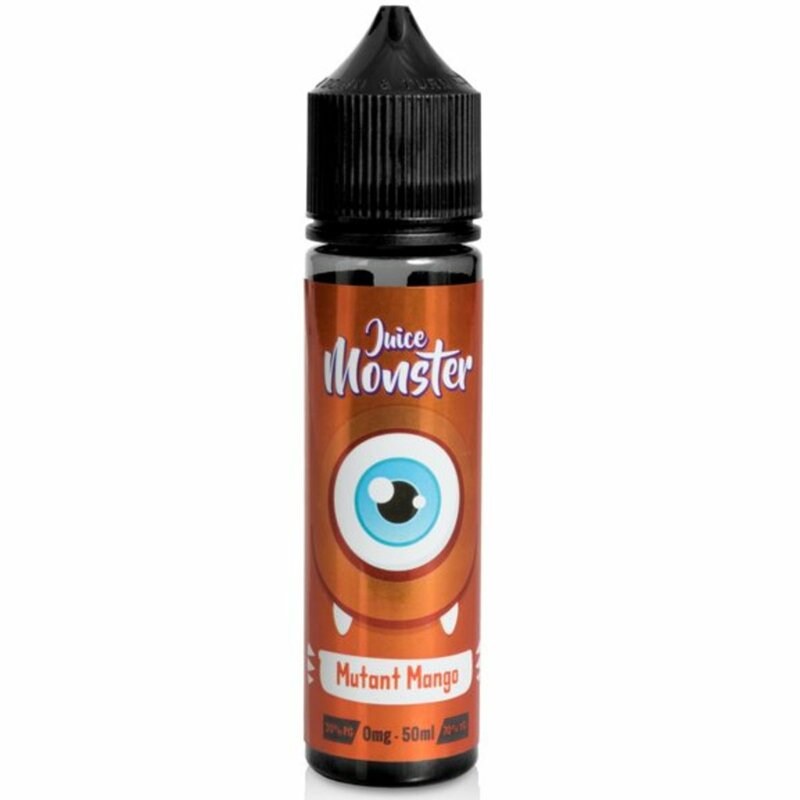 Juice Monster Mutant Mango E-Liquid Shortfill | Electronic Cigarette Co.
Mutant Mango e-liquid from Juice Monster is the tropical flavour of mango, consistently sweet and fruity throughout. This juice is one of several cheap shortfill e-liquid flavours we now stock. You can see more here. Still great quality and all have been tested to comply with the TPD regs. This is a 50ml shortfill 0mg zero nicotine eliquid. It comes in a 60ml bottle so if you want to vape with nicotine there's enough space in the bottle to add a 10ml nicotine booster shot. For example, if you add 10ml 18mg nic shot it will give you 60ml of 3mg eliquid. This is a 70% VG e-liquid blend which is best suited to sub-Ohm heating coils (sub-Ohm means less than 1.0Ω) and a device with variable power because you will probably need to adjust the output to achieve optimum flavour. Use our page e-liquid blends if you want to learn more about thicknesses and PG / VG ratios. This will also explain about nicotine strengths, vapour production, smoother and harsher liquids, and throat hit. It will also help to guide you through to suitable e-liquid for your device. 70% VG e-liquid - best suited to sub-Ohm heating coils (sub-Ohm means less than 1.0Ω) and a device with variable power because you will probably need to adjust the output to achieve optimum flavour. For some flavours you will need at least 60W before you start to really get any flavour. Higher VG blends produce a lot more vapour cloud. Discounts are only applied in the checkout for any e-liquids marked 'Quantity Discounts' for quantities of the same flavour, ie 3 of one flavour or 5 of another.